Eleanor and Park has been raved about for endless months; GoodReads has been unindated with five star reviews of this books, booktube has exploded with recommendations of it, and it's being hailed as a 'sweet and cute' young adult love story. 'Sweet and cute' are two words that I would not associate with this book. If I were asked to sum up the book in two words, I'd choose 'dark and painful'. Coming right out, I'll say that although I didn't love this book, I also didn't hate it. It was just ok, however I am fully aware that this is entirely down to my personal opinion and tastes. The big factor as to why I didn't overly like this book is highly down to the abusive step-father. For years, I lived with my mother, her husband and my brother and sister. I watched my mother go from being a strong woman, who fought through cancer (twice) and depression, to a dwindling shell of her former self. I found myself watching my mother succumb to the control of a megalomaniac loser, who could not do anything without her husband's permission, who could not wear the clothes she wanted to wear without him getting angry at her, as though he had jurisdiction over what she did, wore, and even ate. I watched my mother shrink away. And then he started on us. He would tell us how worthless we were, control what we did, who we saw and where we went. He even kicked me out, twice, when I stood up to him, telling him I could see my friends because my house wasn't a prison, and saying that my life was mine to control, not his. Then, the third time, I left and didn't look back. This is the main reason that I found the book so difficult to read, because it reminded me so much of everything that I had been through. It was like looking into the past, into what I had escaped. I often felt like I was being forced to relive parts of my life I want to forget. And this is most likely a positive thing for the book, because it highlights the realism of the novel, and shows that Rainbow Rowell really knew what she was writing about and had researched well. I do not deny that, I just didn't enjoy it. My boyfriend told me to stop reading the book because I was getting very emotional, because it was hurting me and it was making me relive things that he didn't want me to think about. Several other people also suggested I stop reading it, and I'm sure that you're wondering why I didn't. The truth is, I wanted to know what happened. I wanted to see how Eleanor's situation would unravel, what the resolution of the book would be. I wanted to compare her choices, her path, to my own. I think part of me needed to read this book, to come to terms with my own choices and to confirm that I made the right choices. So many times I thought I'd try to stick it out for my mother, my sister and my brother, to be there for them. This book allowed me to look into a similar situation, to look at somebody else going through the same thing and to critique their choices. It gave me a perspective that I needed to see. Which brings me to one of the things that bugs me most about some reviews that I had seen of this book. 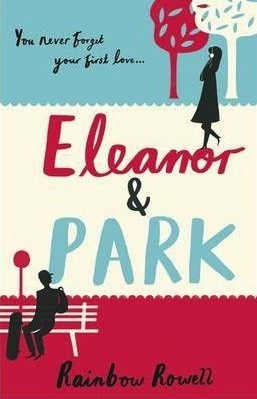 Even with the five star reviews of this book, there seems to be a consistent point brought up: people don't like Eleanor. Some have called her 'whiny', 'mean', and that she just wasn't a nice person. To me, there is no other way Eleanor can be. After what she has been through, she's going to be defensive, with barriers built up (and this is even discussed in the book!). She's going to be distrustful, she's going to be insecure, and I think we all know that that is how we often get like when we start to fall for someone- we want to push them away because we don't feel worthy. Another thing people say is that they don't like the ending and don't agree with the choices made and again I think there is no other way the book could end. That is what she had to do, and it makes me worry about what people expected her to do. Did people want her to stay in that house and to go through what she did forever? Did people really not think that the ending was better for her? She needed out and that is the only way she could do it and I thought it was perfect. Rainbow Rowell did a truly amazing job on this book. The realism and the effort that went into this book is great, the writing style is so lovely to read and I really do think that she has a talent for writing. I've got Attachments on my Kindle so I will be definitely be giving this a read. It's just the subject matter of this book was, for me, too painful to enjoy. 17.85% "This is going to be a difficult book to me. The stepfather abuse affects me on a personal level and I am struggling with it." That is interesting that people thought that(didn't know it) because I didn't think she was whiny at all and I rather liked her for she was stronger than she thought she was.